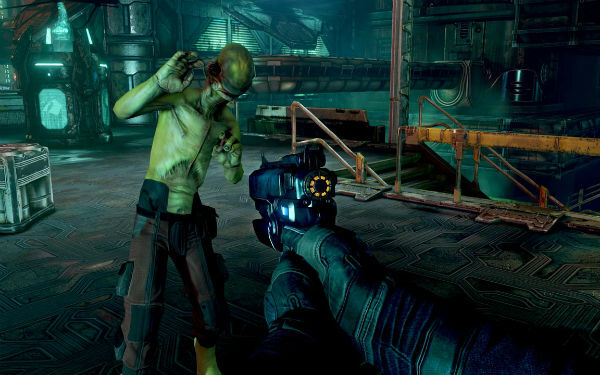 After a long stint in development hell, development on Prey 2 has been announced as suspended. Bethesda Vice President Pete Hines confirmed yesterday during PAX Australia that Prey 2 has officially been cancelled. Hines stated that the cancellation was due to failure of the product to reach quality standards. The continuation of the story of U.S. Marshall Killiam Samuels in Prey (which was itself subject to almost 9 years of development hell before its eventual release in 2006) was announced in 2011 with a rather eye-catching trailer. However, new information about the game eventually trickled to a stop and it had long been assumed that the game was no longer in active development. As for the future of the Prey series, Hines stated that Bethesda was not giving up on the series and would be trying to figure out the proper way to develop it. He explained that Prey 2 was the "game [Bethesda] believed in, but [they] never felt that it got where it needed to be," lamenting that the decision to cease development "wasn't easy, [...] but won't surprise many folks."